Why try node in MY CLASSROOM or learning space? The Node chair is mobile and flexible. It’s designed for active learning and to support all styles of teaching within one space. With Node, a classroom can transition from lecture mode to team mode and back again, without interruption. Collaboration between students is not only enhanced, it’s natural. HOW DOES THE TEST-DRIVE WORK? 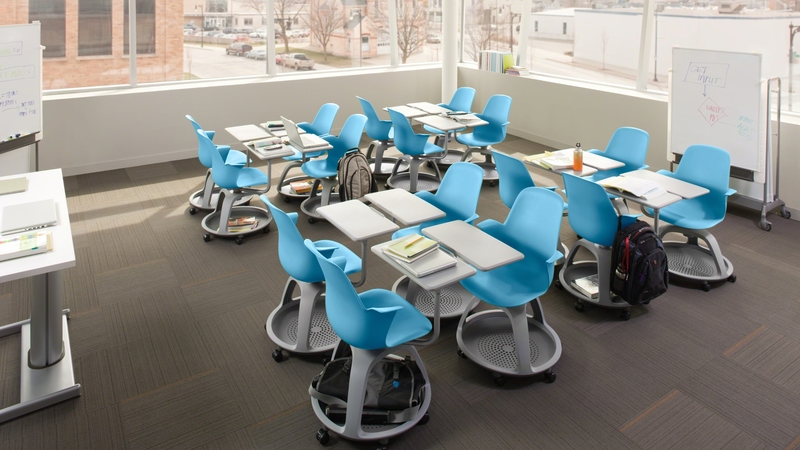 For an entire month experience the difference 30 Node student desks can make in your learning space. We handle all delivery and pick up! Fill out this simple form and we will contact you shortly to schedule your test-drive.